Swing Life Away - Sugar, Darling? It's ever such an odd thing, I've spent the last few years completely avoiding oversized tunics and dresses and all of a sudden I have a new found love for them. 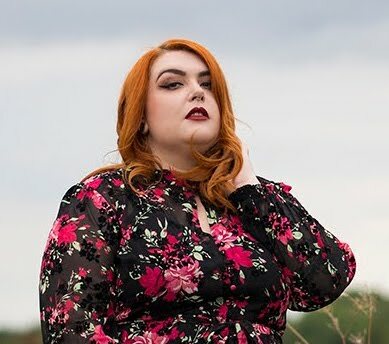 I know exactly why I avoided them, it was because I felt that was what the media wants women my size to wear - something dark and that covers up my lumps and bumps and helps me blend into the background so the world doesn't have to suffer my fat visage. Well as you all know that really isn't how I roll and so I wouldn't go within ten feet of something like that. 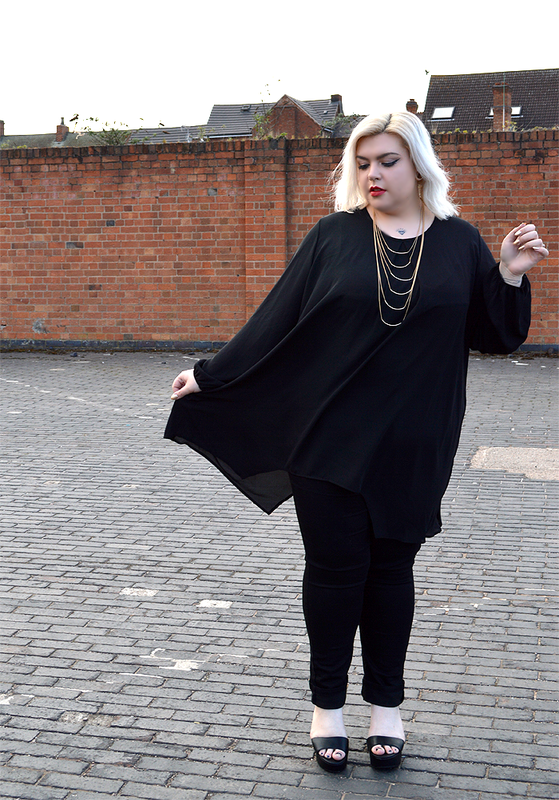 That all changed at the end of last year when The Curve sent me their bell sleeve tunic top which I utterly fell in love with. So chic and comfortable and oh so versatile! My new found love of oversized floaty tops led me to The Egypt Swing Top (£35.00*) from the Gemma Collins collection at Evans. One of those pieces that's superbly easy to wear in so many variations, it's made of a lovely soft and floaty polyester that keeps you lovely and cool. I think this is the first item with a hanky hem that I've ever liked and the origami style pleat to the neckline is a lovely detail. Accessories are your best friends when it comes to an all black outfit and so I added a layered gold necklace to add a bit of shine. As you can see I've gone for slim leg jeans here but I'll also be wearing this with cropped leggings and heeled boots with the sleeves rolled up to three quarter length.